Summer is almost here – which means, picnics, parties, and last-minute gatherings are right around the corner. 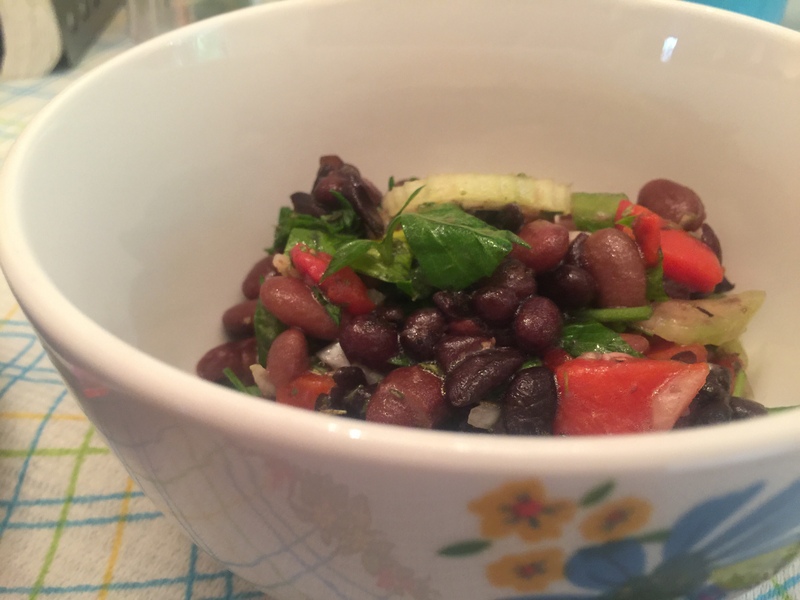 This simple, healthy, and delicious bean salad brings together classic Mediterranean flavors, and can be made the day before or day of – and guests will rave over the bold flavors. In a large bowl, mix together all of the ingredients until well incorporated. Refrigerate for a minimum of 30 minutes before serving. For an extra boost of flavor, add crumbled feta or gorgonzola or your favorite olives. Serve with homemade Italian bread!